Tanjung Kerasak Beach is a white sandy beach with clear water, surrounded by trees and big rocks too. 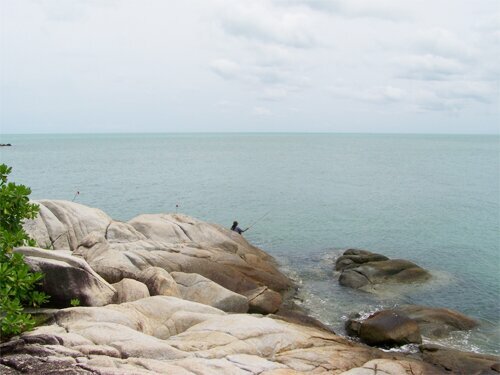 Most local residents come to this beach on weekends to do fishing. Close to the beach, there is a natural and unspoiled forest that is usually used for camping. Click the picture on the right for more and bigger photos of Tanjung Kerasak Beach. How to get there : by private transportation or car rental.